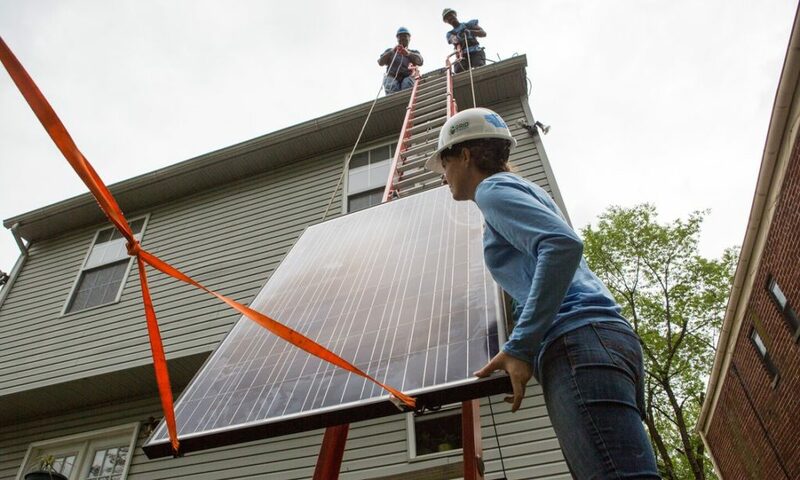 The US solar industry expects to install 14.5 gigawatts of solar power in 2016, a 94% increase over the record 7.5 gigawatts last year, according to a new market report by GTM Research and the Solar Energy Industries Association. Revenues from solar installations also increased 21% from 2014 to more than $22bn in 2015. For the first time, more solar systems came online than natural gas power plants – the top source of electricity in the US – in 2015, as measured in megawatts, said Justin Baca, vice president of markets and research at the Solar Energy Industries Association. This year, new solar is expected to surpass installations of all other sources, said the US Energy Information Administration. Continue reading. Report: Solar Energy in California Has Grown Dramatically Over 5 Years. Morning Consult. Solar energy generation in California increased 1,378 percent between 2009 and 2014, according to a report released by the California-oriented policy group Next 10 on Wednesday. The Renewable Energy Future Emerges? Integration of Solar Energy, Battery Storage and Electric Vehicles, Global Research. Whether or not Tesla’s corporate reorganization proceeds, this is the model for a global renewable energy company with a comprehensive and compatible product line. This entry was posted in NewsBlog, Research and tagged Global Research, Guardian, Inside Energy, Morning Consult, Natural Resources Defense Council, Nebraskans for Solar, solar energy myths, Tumbler Ridge News, U.S. solar energy development, Utility Dive, WEAU News in Wisconsin on July 1, 2016 by Helen Deffenbacher.